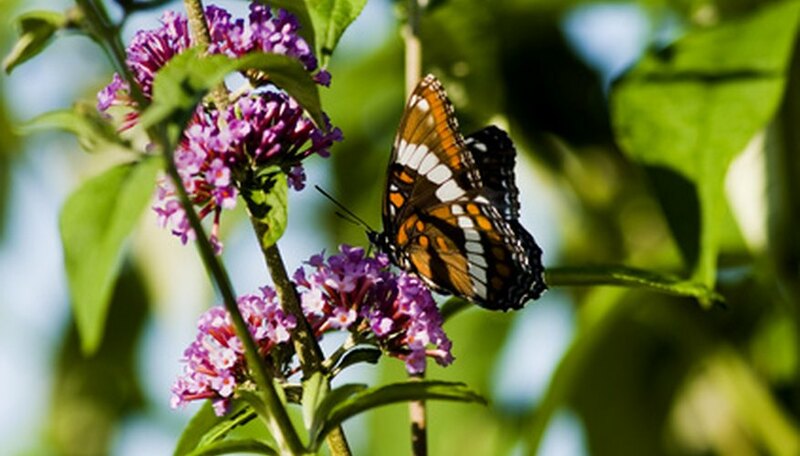 Butterfly Bush, know botanically as the species Buddleja, also commonly spelled Buddleia, is a semi-woody perennial shrub prized for its abundant summer and fall blooms. Butterfly bush flowers are scented and emit a nectar attractive to butterflies and hummingbirds for feeding, hence the name. While not a plant well known for problems with pests or disease, butterfly bush does fall victim to several strains of root and crown rot, which, according to Laura Pottorff at Colorado State University, is the number one disease issue among perennial ornamental plants. Phytophthora is an Oomyceteous fungus that causes root and crown rot in butterfly bush. The fungal spores exist in the soil and invade the root tissues, making the white roots turn brown and rotting off the outer coating. The first above-ground signs are yellowing or wilting leaves, limp or stunted flowers, and lower stem rot. It can kill the plant in severe cases, but the soil infestation can sometimes be managed by the application of a fungicide containing the active ingredient Fosetyl-Al. Rhizoctonia is a fungus that affects the stem and root system of the butterfly bush. Like other root rots, the visible signs are common. By the time they are noticed, some root damage has already occurred. The plant foliage will wilt or droop, the leaves will be become yellow and may drop off, and the leaves and flowers that do grow may appear misshapen or stunted in size. The fungal spores persist in the soil. Though it is difficult or impossible to fully eradicate the spores, the fungus can be mitigated with fungicides containing the active chemical ingredient Fludioxonil. Downy mildew is caused by a number of fungi and creates furry white to black patches on the undersides of butterfly bush leaves and stems. The leaves may turn yellow or brown above the spots or entirely. The leaves may become wilted, contorted or stunted. The spores can survive in the leaf litter on the soil surface and spread easily with the wind. Its spread is best prevented by the removal and destruction of infected plants and wide spacing and good air flow around the plants. Common fungicide products can be used to control the spores, but downy mildew is known to develop fungicide resistance, so multiple products may be required over time.